Green Visions: "interesting smoke and mirrors going on here"
For a long time, the debate over sulfide-ore copper mining near the Boundary Waters has been orchestrated to pit concerns over the environment against concerns for the economy. So how come we haven't heard much about the independent study that concluded they're one and the same? More information about the Campaign to Save the Boundary Waters can be found here. John Doberstein says he cringes when the conversation becomes "What's better? Good mining jobs or tourism jobs paying minimum wage?" In fact, the Duluth for Clean Water organizer has gone on the record more than once saying he rejects the ideas that it's "jobs v. the environment" or "the Iron Range v. the Cities." Doberstein isn't afraid of tough conversations - he just wants them to start - and focus on - what brings people together, and one of those things, he believes, are good-paying jobs that allow people to live, work and raise families in the Northland. 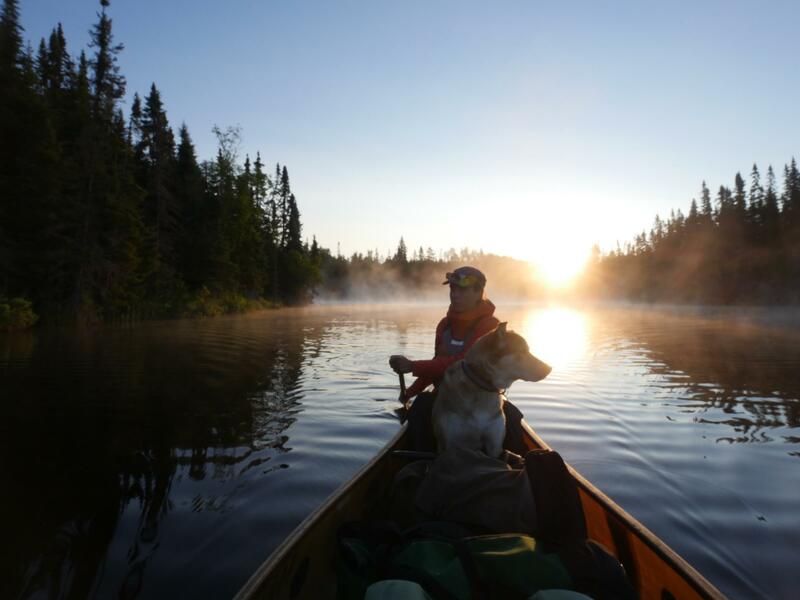 "It doesn't take a year to experience the benefits of the Boundary Waters"
Amy and Dave Freeman are not like a lot of couples. For one thing, they just came back from a year spent living in the Boundary Waters Canoe Area Wilderness for a year - basically just the two of them and their sled dogs. While many couples would find that much togetherness ringing a death knell for them, Amy says their relationship "is better when we're in the woods." In fact, its an experience the wilderness educators and travelers say everyone should try - at least, for a few nights. According to Colette Adkins, the U.S. Fish and Wildlife Service has a history, going back at least twenty years, of being unduly influenced by politics and special interests. So the Center For Biological Diversity's senior attorney has filed suit to preserve federal protections for gray wolves and to force the agency to develop a national recovery plan for the species. At the same time, the USFW Service is expected to put forward a proposal to remove protections for wolves "any day now." Green Visions: Can We Wait a Hundred Years? Pulitzer Prize-winning author Richard Rhodes says it takes about a hundred years for people to transition from one energy source to another -- no matter how appealing the new energy source might be. But do we have that kind of time? KUMD's Adam Reinhardt has the story. Energy: A Human History is published by Simon & Schuster.